Well+Good Retreats are designed to be next-gen wellness getaways, led by fitness and food luminaries handpicked by Well+Good. Here’s what you need to know about the second-ever Well+Good Retreat at Cedar Lakes Estate in New York’s Hudson Valley, August 5-9, 2018! For booking and more information email experiences@wellandgood.com. 1. What makes Well+Good Retreats different? These intimate retreats are unforgettable experiences led by the top fitness and wellness luminaries (all hand-picked by our editors, of course). We’re combining best-in-class workouts, delicious healthy food, and a cool wellness approach that mirrors the Well+Good website ethos. 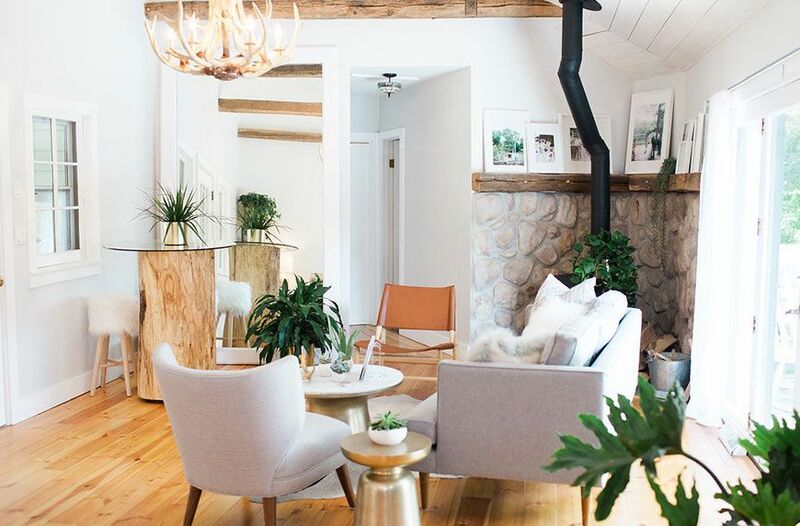 Well+Good Retreats offer a high-vibe chance to slow down and connect with the W+G community. 2. How many guests will be at the retreat? We wanted to create immersive, intimate experiences and are capping registration at 40. Booking along with your BFF is totally welcome, or come solo. Travel (flights and transportation to-and-from the airport and train), alcoholic beverages, spa services upon request, and purchases made during free hours. Round-trip travel from New York City is $65 by train (two-and-a-half hours), $80 by bus (three hours), and $230 by rental car (two hours, with free parking). Prior to the retreat, Well+Good provides a packing list with suggested items to bring. You don’t need to bring skincare or make-up because your room will be stocked with ELEMIS skin care and W3LL PEOPLE makeup. 5. What level will the yoga classes be? Well+Good Retreat workout classes are accessible to all fitness levels and are easy to modify. 6. Can you accommodate food allergies? Yes. Please let us know about any food allergies or dietary restrictions in advance, and we will work with the chef to accommodate your needs. 7. Do I need to participate in every activity? Prices range from $1400-$3400 so you can customize your experience with a variety of accommodations, from cabins with bunks (perfect for sharing!) to private cottages. Best yet? Book before May 25 and get 10 percent off the total price. For more information and to book your spot, email experiences@wellandgood.com.